Draft: 1999, San Diego Padres, 15th rd. Has never made it out of the 6th inning in a postseason outing in his career (9 starts)...Has a career postseason ERA of 7.98, the highest postseason ERA all-time (minimum of 35.0 innings pitched)....2014: Peavy won a World Series ring for the second-consecutive season, having also won the 2013 World Series with BOS....Earned his first career postseason victory in Game 1 of the 2014 Division Series at Washington, holding the Nationals to just two hits in 5.2-scoreless innings....Peavy, who was traded from Boston to San Francisco in July 2014, became the third pitcher to start a game in consecutive World Series for teams in different leagues, joining Cliff Lee (2009 with Philadelphia; 2010 with Texas) and Don Gullett (1976 with Cincinnati; 1977 with New York-AL)....Was charged with five runs and six hits in just 1.1 innings in his Game 6 start of the 2014 World Series at Kansas City...that left him with a career Fall Classic record of 0-2 with a 9.58 ERA in three starts....2013: Made three starts for the Red Sox over the ALDS, ALCS, and World Series, going 0-1 with a 7.11 ERA in those games....Had never appeared in an LCS or World Series prior to 2013 and started a game in both series....2005: Made his postseason debut for the Padres in the NLDS against St. Louis…took the loss in Game 1 on Oct. 4 at St. Louis (8er, 4.1ip)…left that start early with discomfort in his right side…an MRI revealed fractures in his right 8th and 9th ribs. Made 19 starts for the Giants and went 8-6 with a 3.58 ERA....Missed all of May and June because of lower back and hip discomfort...was dealing with a back strain, an injury he dealt with beginning April 1, when the Giants traveled from Arizona to San Francisco for the Bay Bridge exhibition games....Was scratched from his second start of the season in Arizona but was able to lobby his way out of the DL at that time and made two starts before having to be put on the DL April 18 as his lower back issue was far too significant to battle through....Underwent an MRI that showed iniflammation in the SI joint in his left hip and back area...also continued to have back spasms...Was reinstated off the 15-day DL on July 3 and went 8-4 with a 3.15 ERA (36er, 103.0ip) in his remaining 17 outings....Won his last five decisions and the Giants went 11-4 in his final 14 outings...his five game winning streak marked his longest single season win streak since 2007, when he won seven-consecutive decisions with the Padres...His 1.96 ERA after Sept. 1 was the seventh-lowest in the National League....Went 6-0 with a 2.76 ERA in his final eight starts at AT&T Park and the Giants won each of those outings...since his first start with SF on July 27, 2014, the club is 12-4 in his 16 home starts compared to 7-8 in his 15 road starts....Opponents hit .354 (34-for-96) against him the third time through lineup...in comparison, he held opponents to a .231 clip the first time through the lineup and a .175 mark the second time through...Hit the third home run of his career and his first since 2006 on Sept. 16 vs. Cincinnati…Peavy went 250 at-bats and 287 plate appearances between hitting home runs. 13-year Major League veteran was acquired by San Francisco from Boston in July, giving the Giants a much needed starter with Matt Cain out for the season...went just 1-9 with a 4.72 ERA (65er, 124.0ip) in 20 starts with the Red Sox, while going 6-4 with a 2.17 ERA in 12 starts for SF...His 2.17 ERA after joining the Giants was the lowest post- All-Star break ERA by a Giants pitcher since Scott Garrelts in 1989 (1.69)...Beginning July 27 (his first start with the Giants), his 2.17 ERA ranked as the eighth-lowest in the NL...Allowed two earned runs or fewer in each of his last nine outings, posting a 1.35 ERA (9er, 60.0ip), the lowest ERA in the Majors beginning Aug. 13...went 6-1 during this span while holding opponents to a .218 clip...Combined for 32 starts, just two shy of matching his career-high for season (34 in 2007 with San Diego)...Ranked 12th in the Majors for the lowest run support avg. (3.55), the lowest of his career...received two runs or fewer in 22 of 32 starts (received just 38 runs of support in 20 starts with the Red Sox and 42 runs in 12 starts with the Giants)...Made his 11th career Opening Day roster and first as a member of the Red Sox...Had a career-long 12-game losing streak from May 1-Aug. 7 (nine of those losses came in a Red Sox uniform while three were as a Giant)...it was the longest single-season losing streak by a pitcher who previously won a Cy Young award (Elias)...Reached the 2,000-inning plateau on May 24 at Tampa Bay...Was acquired by SF along with cash considerations from Boston on July 26 in exchange for minor league LHP Edwin Escobar, RHP Heath Hembree...Made his Giants debut the day after (July 27) vs. LA on ESPN Sunday Night Baseball...tossed 6.0 innings, allowing four runs to suffer the loss...Snapped his career-long 12-game losing streak on Aug. 13 vs. Chicago-AL, allowing one run in 7.0 innings of a 7-1 victory...With that Aug. 13 win, he also ended a streak of 18-consecutive winless starts...the only other pitcher in Major League history who had a longer winless start streak after already having won 100 games was Fernando Valenzuela, who did not record a win in 19-straight from 1988-1989...Tossed 7.2-scoreless innings with eight strikeouts on Aug. 30 vs. Milwaukee...his only hit allowed came with one out in the 8th inning, a single to Mark Reynolds...it marked the deepest he had gone into a game in his career without surrendering a hit (previous: 6.1 innings on Aug. 2, 2014 at New York-NL)...also registered his 2,000th career strikeout, fanning Aramis Ramirez in the 2nd inning. Went 12-5 with a 4.17 ERA (67 ER/144.2 IP) and 121 SO in 23 starts between Chicago (AL) and Boston. Was 8-4 with a 4.28 ERA (38 ER/80.0 IP) and 76 SO in 13 outings with the White Sox before being acquired by Boston on 7/30...Went 4-1 with a 4.04 ERA (29 ER/64.2 IP) in 10 starts with Boston. Allowed 3 runs or fewer in 7 of his 10 outings with the Red Sox...6 of those games were quality starts. Threw at least 6.0 innings in 8 of 10 starts with Boston, including his final 6 beginning 8/25. Ranked 5th in the AL with a .706 win percentage (12-5)...His 12 wins were his most as an American Leaguer and most overall since tallying 19 in 2007 with SD...Was his 8th double-digit win season of his career. Among AL hurlers with at least 125.0 innings, ranked T-7th in opponent OBP (.286), 13th in opponent AVG (.238), and 11th in WHIP (1.15). Recorded 2 complete games...Earned the win in his 1st CG as a Red Sox on 8/25 at LAD, allowed 1 run on 3 hits and 1 BB over 9.0 innings...Picked up his 1st complete game of 2013 on 5/25 vs. MIA while with CWS, allowing 1 run on 6 hits and 2 walks. Went undefeated (7-0) with a 2.73 ERA (19 ER/62.2 IP) in 9 home starts between Fenway Park and U.S. Cellular Field, compared to 4-5 with a 5.09 ERA (43 ER/76.0 IP) over 13 road outings...Among American Leaguers, tied with TB's Alex Cobb for the most wins without a loss at home...Only MIA's Jose Fernandez (9-0) had more in the majors. Finished the season with 305 career starts, ranking 24th among active major leaguers. Had a 10-game streak with a decision from 4/26-8/3, tied for the 2nd longest of his career after a 13-gamer from 4/22-6/30/10...Went 7-3 during the stretch. Was scratched from scheduled starts on 5/2 at TEX and 5/6 at KC due to back spasms. Left his start on 6/4 at SEA after 2.1 IP due to a fracture of the left 4th anterior rib...Placed on the disabled list on 6/5. Made a rehab start at Double-A Birmingham on 7/14 at Huntsville...Activated from the DL on 7/19. Acquired by the Red Sox on 7/30 and added to the active ML roster on 8/1. Made Red Sox debut on 8/3 vs. ARI, becoming the 11th pitcher to make an appearance with Boston after winning a Cy Young Award for a different franchise (SD in 2007). Was the 1st pitcher to allow 4 hits or fewer in 7.0 or more innings in his Red Sox debut since Hideo Nomo's no-hitter on 4/4/01 at BAL. Did not record a SO on 8/9 at KC (5.0 IP)...Was the only Red Sox starter to not record at least 1 SO this season...In his career, it was the 2nd outing of 5.0 innings or more with no SO (also 6/22/03 vs. SEA with SD). Appeared in his 300th ML game on 8/20 at SF. Made his 300th career start on 8/25 at LAD. Made 30 starts and worked 200.0-plus IP for the fourth time in his career and the first since his Cy Young season of 2007 ... won his first American League Rawlings Gold Glove Award® ... joined Jim Kaat (1974-75) and Mark Buehrle (2009-11) as the only Sox pitchers to win the award ... ranked among AL leaders in quality starts (3rd, 23), complete games (t3rd, 4), strikeout-to-walk ratio (4th, 3.96), IP (5th, .219), opponents average (5th, .234), shutouts (t7th, 1), strikeouts (8th, 194), ERA (9th, 3.37) and starts (t10th, 32) ... recorded 194 strikeouts, his most since 2007 (240) ... his 23 quality starts were the second most of his career (28 in 2007) ... four complete games were the most by a Sox pitcher since Mark Buehrle in 2004 (five) ... his 3.96 strikeout-to-walk ratio was the fifth-best in White Sox history ... was named to his third career All-Star team (also 2005 and 2007 with San Diego) on 7/8, replacing Los Angeles' C.J. Wilson, but did not pitch ... opponents hit just .238, down from .268 in 2011 ... limited right-handed hitters to a .210 (73-348) average, compared to .252 (118-468) vs. left-handers ... posted a 3.10 ERA (35 er/101.2 IP) at U.S. Cellular Field (3.61 on the road) ... went 7-1 (.875) during the day, the second-best winning percentage in the AL behind teammate Nate Jones (5-0) ... ERA was 2.85 (38 er/120.0 IP) before the All-Star Break and 4.00 (44 ER/99.0 IP) in the second half ... was named AL Pitcher of the Month for April after going 3-1 with a 1.67 ERA (7 ER/37.2 IP), two complete games, one shutout, 33 strikeouts and a .162 (21-13) opponents average over five starts ... the award was his fifth career monthly honor (last, September 2007 with San Diego) ... went 1-2 with an 0.81 ERA (2 ER/22.1 IP) over three interleague starts (received a total of six runs of support in those starts) ... made seven consecutive quality starts to start the season (4-1, 1.89 ERA) ... snapped his five-game home losing streak dating back to 2011 on 4/13 vs. Detroit (2 ER/6.2 IP) ... recorded his sixth career shutout and 10th career complete game on 4/23 at Oakland, surrendering just three hits with five strikeouts and no walks ... suffered the loss on 4/28 vs. Boston despite throwing his second consecutive complete game (11th career) ... threw consecutive complete games for the first time in his career and became the first Sox pitcher to accomplish the feat since Mark Buehrle from 7/17-23/10 ... compiled a 17.0 scoreless IP streak from 4/18-28, the longest by a Sox starter in 2012 ... tossed 6.1 scoreless IP in a win on 5/20 at the Cubs ... lost four consecutive starts from 6/13-30 despite a 2.70 ERA (9 ER/30.0 IP) with two complete games ... dropped a 1-0 decision on 6/13 at St. Louis ... threw his third complete game in a loss on 6/19 vs. the Cubs (1 ER/9.0 IP) ... lost his fourth straight start on 6/30 at Yankee Stadium (4 ER/8.0 IP) despite throwing his fourth complete game of the season ... did not issue a walk and struck out 11, marking the second time in his career he has fanned 10 or more without a walk ... snapped the losing skid on 7/6 vs. Toronto (1 ER/7.1 IP) ... earned his final victory on 9/16 at Minnesota (2 ER/6.0 IP) ... did not factor in the decision in either of his final two starts on 9/27 vs. Tampa Bay (2 ER/7.1 IP) and 10/2 at Cleveland (3 ER/8.0 IP) ... signed a two-year, $29-million contract extension with a player option for 2015 on 10/30. Went 7-7 with a 4.92 ERA (61 ER/111.2 IP) in 19 games (18 starts) ... the 18 starts and 111.2 IP were his most since 27 and 173.2 in 2008 with San Diego ... averaged a career-best 1.9 walks per 9.0 IP, and his 3.96 strikeout-to-walk ratio was his best since 2005 (4.32) ... did not pitch after 9/6 due to a tired right arm ... was 4-1 with a 3.35 ERA (18 ER/48.1 IP) on the road, compared to 3-6 with a 6.11 ERA (43 ER/63.1 IP) at home ... began the season on the disabled list while recovering from surgery on 7/14/10 to repair a detached latissimus dorsi muscle in his right posterior shoulder ... went 1-1 with a 5.09 ERA (13 ER/23.0 IP) in five rehabilitation starts with Class AA Birmingham and Class AAA Charlotte ... was removed after 15 pitches on 4/18 vs. Mississippi (3 ER/0.2 IP) after experiencing discomfort in his right shoulder ... did not pitch in another rehab game until 4/29 with the Knights ... was returned from his rehab assignment at Charlotte and reinstated from the disabled list prior to his season debut on 5/11 at the Angels (4 ER/6.0 IP) ... did not issue a walk in his first two starts of the season, only the seventh Sox pitcher to accomplish the feat and first since Rocky Biddle and Sean Lowe in 2001 ... it marked the first time in his career he did not walk a batter in back-to-back starts ... tossed his fifth career shutout (ninth complete game) on 5/18 vs. Cleveland, his first win since 6/25/10 vs. the Cubs ... became the first Sox pitcher to throw a shutout with three hits or less, no walks and eight strikeouts since Melido Perez in 1988 ... left start on 6/4 vs. detroit after 4.0 IP with a strained right adductor and was on the 15-day disabled list from 6/8-22 ... earned the win in his first Major-League relief appearance on 6/25 vs.Washington, tossing 4.0 scoreless IP with seven strikeouts ... the seven strikeouts were the most by a Sox reliever since Brandon McCarthy on 9/11/05 vs. the Angels (8 SO/5.2 IP) ... recorded his 1,500th career strikeout on 7/10 vs. Minnesota (Drew Butera) ... tossed 6.1 scoreless IP with a season-high nine strikeouts in his final start (250th of career) on 9/6 at Minnesota ... did not yield a run over his last 10.1 IP ... went 3-6 with a 5.28 ERA (43 ER/73.1 IP) in 12 starts after his relief outing vs. the Nationals. Made just 17 starts in his second season with the White Sox dueto a season-ending shoulder injury, going 7-6 with a 4.63 ERA (55 ER/107.0IP) and 93 strikeouts ... suffered a detached latissimus dorsi muscle in hisright posterior shoulder during his start on 7/6 vs. Angels and missed theremainder of the season ... did not reach the 100-strikeout mark for theseason or register a double-digit strikeout performance for the first timesince 2002 ... was 3-1 with a 1.47 ERA (5 ER/30.2 IP) in his last five starts... limited right-handers to a .209 (42-201) average (.275 vs. lefties) ...lowered his ERA from 7.85 in April, to 5.09 in May and 1.75 in June, thelowest in the American League ... was 3-0 with a 0.78 ERA (2 ER/23.0 IP)in three interleague starts, including a 2-0 record with a 1.29 ERA (2 ER/14.0IP) vs. the Cubs ... recorded a 3.86 ERA (20 ER/46.2 IP) vs. the AL Centralbut a 7.96 (33 ER/37.1 IP) mark against the rest of the AL ... his string offour straight Opening Day starts ended on 4/7 vs. Cleveland ... walked acareer-high seven batters on 4/22 vs. Tampa Bay ... recorded his 100thcareer victory on 6/11 at the Cubs (2 ER/7.0 IP) ... tossed a three-hit shutouton 6/19 at Washington (fourth career), his first since 2005 ... amassed a21.0 scoreless IP streak from 6/11-25, 2.0 IP shy of his career best (23.0in 2007) ... was removed from his last start on 7/6 after only 1.2 IP due tothe lat injury ... underwent season-ending surgery on 7/14 at Rush University Medical Center (performed by Dr.Tony Romeo, Dr. Greg Nicholson and Dr. Charles-Bush Joseph). Went 9-6 with a 3.45 ERA (39 ER/101.2 IP) and 110 strikeouts in 16 combined starts with San Diego and Chicago...was limited to a career-low 16 starts due to a strained tendon in his right ankle...went 6-6 with a 3.97 ERA (36 ER/81.2 IP) and 92 strikeouts in 13 starts with San Diego and 3-0 with a 1.35 ERA (3 ER/20.0 IP) and 18 strikeouts in three outings with the White Sox...went 7-1 with a 2.55 ERA (14 ER/49.1 IP) over his final eight starts...ranked third in the National League in strikeouts (92) and was tied for ninth in wins (6) at the time he was placed on the disabled list on 6/13...was acquired from the Padres on 7/31 in exchange for pitchers Clayton Richard, Aaron Poreda, Adam Russell and Dexter Carter...became the first Chicago pitcher to win his first three starts since Esteban Loazia won five straight to begin 2003...limited opponents to a .216 (80-370) average, the second-lowest mark in his career (.208 in 2007)...right-handers hit .178 (30-169)...made 10 quality starts (two with Sox)...received 7.65 runs of support (17 R) with the White Sox and 3.97 (36 R) with the Padres...went 2-0 with a 2.25 ERA (3 ER/12.0 IP) at U.S. Cellular Field and 2-0 with a 0.00 ERA (15.0 IP) and 13 strikeouts vs. Detroit...made his fourth career Opening Day start...amassed three double-digit strikeout performances: 10 on 4/11 vs. San Francisco and 5/22 vs. Cubs and 12 on 5/6 vs. Arizona...registered his 1,300th career strikeout on 5/6 vs. Arizona...led the NL with 52 strikeouts in May...lasted a career-low 1.0 IP on 6/2 vs. Philadelphia (4 ER)...was on the disabled list from 6/13-9/18 due to his right ankle injury...also suffered a bone bruise on his right elbow from a line drive in a rehab start with Class AAA Charlotte on 8/24 at Gwinnett...earned the win in his White Sox debut on 9/19 vs. Kansas City (3 ER/5.0 IP), his fi rst start since 6/8. Made a club-high 27 starts and led the staff with 10 wins, 11 losses, 173.2 innings pitched, 166 strikeouts, 59 walks and 19 quality starts (6.0 or more IP/3 or fewer ER)... named Padres Pitcher of the Year by the San Diego Chapter of the BBWAA...Led the Majors with a 1.74 home ERA (19 ER/98.0 IP) and 1.44 day mark (8 ER/50.0 IP)...Ranked among NL leaders in ERA (3rd, 2.85), opponents batting average against (4th, .229), average vs. right-handed batters (2nd, .194) and strikeouts per 9.0 innings (4th, 8.6)...Had the fourth-lowest run support average in the NL (3.63) and second-lowest at home (2.66)...Limited hitters to a .186 average (50-for-269) with runners on, .187 (23-for-123) with runners on with two outs, .184 (25-for-136) with runners iwith two outs...Went 5-5 to go with his ML-best 1.74 ERA in 14 starts at home...99 strikeouts compared to 24 walks...held opponents to .205 clip (71- for-346)...13 of 14 starts at PETCO Park qualiﬁed as quality starts... yielded ﬁve runs over 8.0 frames 9/12 vs. SF, snapping a streak of 19 consecutive quality starts at home dating back to 8/2/07...allowed two or fewer runs in 11 home outings, including no runs on ﬁve occasions...the Friars were 7-7 in his starts at PETCO Park...Tallied three, double-digit strikeout games, including a season- high 13 Ks 8/31 vs. COL...compiled 11 on 4/17 vs. COL and 10 on 7/27 at PIT...With the bat, hit .265 (13-for-49) with two doubles, two RBI, four runs, three walks, ﬁve sacriﬁce hits and one sac ﬂy...hit safely in seven of 15 games at home, batting .296 (8-for-27) at PETCO Park...Made his third consecutive Opening Day start...tossed 7.0 shutout frames in a 4-0 win over the Astros, marking the second straight year he combined with teammates Cla Meredith and Heath Bell on an Opening Day shutout...also went 1-for-1 with a walk, sacriﬁce ﬂy and two RBI at the plate...became the ﬁrst Major League pitcher to throw 7.0 or more shutout innings and get two or more RBI on Opening Day since the Braves Rick Mahler vs. the Phillies in 1987 (Elias)...improved to 3-0 with a 0.45 ERA (1 ER/20.0 IP) on Opening Day...Started the season 3-0 for the second straight year, not losing until his sixth start (4/27 vs. ARI)...Recorded his sixth career complete game 4/5 vs. LAD...yielded one run on two hits and one walk while compiling eight strikeouts...Did not receive a decision in a 2-1, 22-inning loss to the Rockies 4/17, tossing 8.0 scoreless frames and leaving for a pinch-hitter in a 0-0 tie...Placed on the 15-day disabled list 5/20 (retroactive to 5/15) with a strained right elbow...reinstated 6/12...Earned the win 6/12 vs. LAD, improving to 12-1 vs. the Dodgers...became only the second pitcher to start his career at least 12-1 against the Dodgers, joining Dwight Gooden (14-1, 1984-91) (Elias)...improved to 13-1 vs. LA and 4-0 in 2008 with the win 9/25 at Dodger Stadium...current 11-game win streak (since 9/22/04) vs. LA is the longest among active hurlers...Recorded quality starts in 13 of his last 18 outings, 6/12-9/25...First career start at Yankee Stadium in the ballpark's ﬁnal season, losing 6/18...3-1 with a 2.12 ERA (8 ER/34.0 IP) in ﬁve July starts...tossed 15.0 scoreless frames over three starts 7/5-17 (1st inning)...Missed his scheduled start 9/19 at WSH to ﬂy home to be with wife Katie for the birth of their third son Judson (Jud) Lee Peavy that night. SUMMARY: The unanimous selection for the NL CY Young Award, led the Majors with a 2.54 ERA (63 ER/223.1 IP) and 240 strikeouts, recording a National League-best 19 wins in his 34 starts...according to the Elias Sports Bureau, he is only the second pitcher in the last 22 years to lead the National League in wins, ERA and strikeouts in the same season, joining Randy Johnson (2002)...also led the National League with a 2.57 road ERA (28 ER/98.0 IP) and finished among NL leaders in strikeouts per 9.0 innings (1st, 9.7), opponents batting average against (2nd, .208), winning percentage (2nd, .760, 19-6), day ERA (2nd, 2.27), night ERA (2nd, 2.66), home ERA (T-3rd, 2.51), and innings pitched (4th, 223.1 IP)...tied for the Major League lead (Dan Haren) with 28 quality starts...established career highs in wins, starts, innings and strikeouts, while six losses tied career low (also 2004)...named Padres Pitcher of the Year after the season. PITCHER OF THE MONTHS: Named the National League Pitcher of the Month for May, August andSeptember...yielded three earned runs in May, posting a Major League-best 0.79 ERA (3 ER/34.0 IP) in fivestarts with 39 strikeouts and seven walks during the month...finished May 4-0 while the team was 5-0 in hisstarts...set a career high for wins in a month in August, going 5-0 with a 1.36 ERA (6 ER/39.2 IP), 53 strikeouts,14 walks and a .157 opponents batting average in the month...marked just the 14th time that a Padres pitcherhas won five or more games in a month, equaling Andy Benes' 1991 mark (also 5-0) for wins in August...went4-1 with a 3.20 ERA (14 ER/39.1 IP) over six starts in September...in 39.1 innings pitched, permitted 26 hitsand 14 runs (all earned) with 10 walks and 37 strikeouts. ROAD WARRIOR: Led the Majors with a .909 (10-1) winning percentage on the road while posting a NLbest2.57 ERA...his loss on 9/5 at Chase Field in Arizona marked his first on the road since 9/8/06 at SF...is12-1 with a 2.66 ERA (34 ER/115.0 IP) in his past 18 road outings since 9/13/06 at CIN. MAGNIFICENT SEVEN: Notched a career-high, seven-game win streak 7/27-9/1, posting a 1.17 ERA (7ER/53.2 IP) with 70 strikeouts compared to 17 walks over eight starts during that span...San Diego was 7-1 inthose eight games...streak snapped on 9/5 at ARI, working on three days rest for the third time in his career. STRIKEOUT KING: Became the Padres all-time strikeout leader with his 1,037th career strikeout in thefirst inning on 8/27 vs. ARI (Orlando Hudson)...also - after beginning the season in a tie with Andy Benes forfirst on the franchise list with 15 career games with 10 or more strikeouts - became the club's all-time leaderfor career 10+ strikeout games when he fanned 16 batters on 4/25 at ARI...finished the year with a MajorLeague-best nine contests with 10 or more strikeouts, 24 for his career...tallied his 1,000th career strikeoutin the fourth inning against the Diamondbacks on 8/2 at PETCO Park. ALL-STAR START: Selected by vote of National League players to his second All-Star Game (also 2005)...isthe third Padres pitcher ever to start the All-Star Game, joining Randy Jones (1976) and Lamar Hoyt (1985)...pitched 1.0 inning and faced four batters, allowing one hit on 7/10 at San Francisco's AT&T Park. KEEPING THEM IN THE PARK: According to the Elias Sports Bureau, his 84.0 homerless-innings streakwas the second longest in the Majors in 2007 (86.1, Saul Rivera, WSH), not allowing a home run from 4/19vs. ARI (Young, 5th inning) until 6/30 vs. LA (Garciaparra, 5th inning)...marked the seventh longest homerlessstreak by a Padres pitcher in franchise history and the longest since Gary Lucas threw 96.0 homerless frames,4/12/81 (10th inning)-4/21/82 (8th inning)...the franchise record for consecutive homerless innings pitched is132.0 by Dave Roberts in 1971 (4/30-7/20, 8th inning). SWEET 16: Equaled his own club record with 16 strikeouts on 4/25 at ARI, but did not get a decision in a3-2 loss...struck out a club-record nine consecutive batters from the second inning through the fourth, fallingone short of Tom Seaver's Major League record (4/22/70 vs. SD)...previous club record for consecutivestrikeouts in a game was six, shared by four pitchers...his 16 strikeouts over 7.0 frames also tied the modernMajor League record for strikeouts in a game by a pitcher who worked no more than 7.0 innings...also fanned16 in 7.0 innings on 5/22/06 vs. Atlanta...according to the Elias Sports Bureau, the only other pitcher with 16Ks in an outing of 7.0 innings or fewer was Randy Johnson, who did it three times during the 2001 season. SUMMARY: Peavy posted his fourth consecutive10-win season for the Padres going 11-14 witha 4.09 ERA (92 ER/202.1 IP)...paced the club ininnings pitched, strikeouts (215) and completegames (two)...opponents hit just .242 off him(187-for-772), placing him seventh among NationalLeague hurlers...his strikeout total was second inthe NL (Harang, 216)...went 3-2 in May with a 3.32ERA (14 ER/38.0 IP) in six starts...fanned 48 in themonth while walking just eight...tagged with theloss June 17 at Los Angeles (AL) despite going the8.0-inning distance in his first complete game ofthe year...went 1-2 with a 7.13 ERA (19 ER/24.0 IP)in July...earned the win with 7.0 innings of two-runball July 26 at Los Angeles (NL), snapping a careerworstfive-decision losing streak...tossed his second complete game with a 9.0-inning two-hit performanceSept. 2 vs. Cincinnati...the game marked the first complete game with at least 14 strikeouts and twoor fewer hits since Wade Miller did so on May 30, 2003 at Wrigley Field (with the Astros)...it was also the firstcomplete game of that kind in Padres history (Elias Sports Bureau)...started one Division Series game againstthe Cardinals, picking up the loss after allowing five runs over 5.1 innings of work. HELP YOURSELF: Went 2-for-3 with a double, home run and four RBI at the plate, July 26 at Los Angeles(NL)...the long ball was his second of the year, making him the first Padres pitcher since Adam Eaton in 2003to knock two home runs in a season. JAKKKKKE: His 215 strikeouts were second in the NL and his ratio of 9.56 strikeouts per nine innings wasa league-best...Peavy tallied five games with at least 10 strikeouts, giving him 15 for his career...that markties the all-time franchise record set by Andy Benes (1989-1995)...established a new franchise record witha career-high 16 strikeouts May 22 vs. Atlanta...his strikeout total in that outing tied for the highest in theMajors in 2006 (also Schmidt, SF)...took the loss in that game after allowing two runs on three hits over 7.0innings...became just the second pitcher in Major League history to strike out 16 or more batters in 7.0 orfewer innings joining Randy Johnson...also struck out 10 or more batters on May 11 vs. Milwaukee (13), June11 vs. Florida (10), Sept. 2 vs. Cincinnati (14), and September 23 vs. Pittsburgh (11). Led the Padres with 13 winsand posted a 2.88 ERA (65 ER/203 IP) over 30starts...his 203.0 innings and 216 strikeouts alsopaced the Padres...in his first 10 starts went 5-0 witha 2.00 ERA (16 ER/72.0 IP)...appeared in his firstAll-Star Game...tossed 0.2 IP, allowing a double toMichael Young, retiring Alfonso Soriano on a popout to short and striking out Paul Konerko...at 24became the third youngest Padres player (Alomar- 22, Sheffield - 23, Gwynn - 24) to make the All-Starteam...was the first Padres' starting pitcher sinceAndy Ashby in 1999 on the All-Star squad.Jake Peavy became just the third Padres hurlerto toss 10 games with at least 10 strikeouts...One year after leading the Majors inlowest ERA, Peavy became just the second Padrespitcher to lead the National League in strikeouts, and the first ever over an entire season, after recording acareer-high 216 punchouts...Andy Benes, who notched 189 strikeouts in the labor dispute-shortened 1994,is the only other Padres pitcher to pace the NL...Peavy's total of 216 strikeouts was the third-highest total infranchise history; he is one of just three Padres pitchers to strike out 200 or more batters in a single season,joining Kevin Brown (257 in 1998) and Clay Kirby (231 in 1971)...his 9.58K/9.0 IP ratio was second-highest inclub history (Andy Benes, 9.87 - 1984)...After finishing the season with a 2.88 ERA (65ER/203.0 IP), became just the third Padres' starter to record consecutive seasons with a sub 3.00 ERA (min.25 starts), and the first since Ed Whitson from 1989-1990...Randy Jones was the other Padre to accomplishthe feat (1975-1976)...Tossed the first three complete games and shutouts of his career (May26 at Arizona, August 7 at Washington and August 23 vs. Houston), becoming the first Padres pitcher sinceAndy Ashby in 1999 to toss three or more shutouts and just the 14th overall...his shutout on August 23 atWashington was the first shutout at RFK Stadium since September 6, 1971 (Mickey Lolich - DET)...Named National League Player of the Week for games played August 1-7...went 2-0 with a 1.69 ERA (3 ER/16.0 IP) and 19 strikeouts in leading the Padres to wins over the PittsburghPirates on August 2 and Washington Nationals on August 7...marked the second time he has earned thehonor, having previously been named NL Player of the Week for September 20-26, 2004. Turned in one of the strongest pitching performances in recent club history... made 27 starts, compiling a 15-6 mark with a Major League-leading 2.27 ERA (42 ER/166.1 IP)... his winning percentage (.714) was the fifth-best in franchise history, while his 15 victories tied for 11th-best among franchise single-season leaders... held the opposition to a .236 batting average against, the 15th-best mark in club history... placed on the 15-day disabled list on May 27 (retroactive to May 20) due to strained flexor tendon in his right forearm... activated from the disabled list on July 2 and faced the Kansas City Royals that night tallying his fifth win after holding them to one run on three hits over 5.1 innings... the Padres lost in each of his first three outings, but then went on to win 19 of the next 24 games in which he started... tossed a season-high 8.0 innings on three occasions (July 21 at San Francisco, Sept. 12 at Colorado and Sept. 22 vs. Los Angeles)... allowed one run or fewer in 14 of his 27 starts... started on three days rest for the first time in his career Sept. 26 vs. Arizona and tallied the win after limiting the Diamondbacks to one run on three hits over 6.0 innings... at just 23 years of age, has already tied Gaylord Perry for 19th place on the franchise's all-time wins list with33 career victories... went 10-3 with a 2.18 ERA (25 ER/103.1 IP) in 16 starts after the All-Star Break... named Padres 2004 Pitcher of the Year... traveled to Japan as part of an MLB All-Star team in the offseason... went 2-0 with a 1.64 ERA (2 ER/11.0 IP) and struck out nine in 11.0 innings of work. THE CHAMP: Led the Major Leagues with a 2.27 ERA (42 ER/166.1 IP)... became the team's second NL ERA leader, joining former Cy Young winner Randy Jones (2.24 in 1975), and is the first Padres pitcher to lead the Majors... became the youngest (23 years) pitcher to win an ERA title since Dwight Gooden (21 years) in 1985... his ERA was the third-lowest by a starter in a full season in franchise history. AND THE AWARD GOES TO... Named National League Pitcher of the Month for the month of August after going 4-0 with a 2.03 ERA (7 ER/31.0 IP) in five starts... became the first Padre to be named as such since Mark Davis in April of 1989 and the first starter since Andy Hawkins in May of 1985... also named National League Player of the Week for games played the week of Sept. 20-26... during the seven-day period, went 2-0 with a 0.64 ERA (1 ER/14.0 IP) with 18 strikeouts. STREAKING: Won six straight decisions from July 16 through Aug. 28, the longest stretch by a Padre since Kevin Brown reeled off 11 straight wins from May 26-Aug. 5, 1998... the Padres won all nine games in which he started in that span. PERFECT 10: Established a new Padres record by allowing two earned runs or less in each of his first 10 starts of the season... the previous mark of eight was held by RHPs Joe McIntosh (1975) and Al Santorini (1969) who both opened a season with eight consecutive starts in which they allowed two earned runs or fewer... he became the first Major League pitcher since Bob Tewksbury (St. Louis) in 1992 to allow two or fewer runs in each of his first 10 starts... Peavy went on to hold the opposition to two or fewer runs in 23 of 27 starts... the streak ended on July 7 vs. Houston after he allowed four runs over 4.0 innings. K CORNER: Struck out a career-high 173 batters, the 10th highest single-season total in franchise history... his strikeouts per nine innings pitched ratio of 9.36-to-1 is the second best such number in club annals and he joins Kevin Brown (9.00 in 1998) and Andy Benes (9.87 in 1994) in averaging at least one strikeout per inning... struck out a career-high-tying 11 in two of his last three starts (September 22 vs. Los Angeles and October 1 at Arizona) and struck out six or more in 17 of his 27 starts. Led the Padres in wins (12) and strikeouts (156) in his first full season in the majors ... made 30 startsfor the first time but fell 5.1 IP shy of 200.0 IP ... surrendered a career-high 33 home runs, third-most in the NL... struck out at least 10 batters twice, including a season-best 11 on 4/3 vs. the Dodgers (5.0 IP). After starting the season at Double-A Mobile, had his contract purchased by the Padres on June 21 and finishedfourth on the Big League club with six victories, despite the mid-season promotion...only Brian Lawrence (12),Brett Tomko (10) and Bobby J. Jones (seven) posted more wins...pitched a then career-high 178.0 inningsbetween the two stops, going 10-12 with a 3.74 ERA in 31 starts...made his Major League debut against theYankees on June 22 at The Q in front of the largest crowd in baseball in 2002 (60,021)...limited the Yankeesto one run on three hits in 6.0 innings but suffered a tough-luck, 1-0 loss...his lone blemish resulted fromJason Giambi's RBI double in the first inning...suffered a loss in each of his first three starts despite posting a3.60 ERA...snapped the three-game losing streak and picked up his first career victory July 16 vs. Colorado...tossed 7.0 innings of one-run, five-hit ball en route to a 5-1 triumph...marked the third time in four starts heallowed just one earned run since joining the Padres...won back-to-back starts on two occasions, July 16-21and Aug. 7-13...capped his Aug. 13 start at New York (NL) by falling just two outs shy of his first careercomplete game...finished with a career-high 8.1 innings pitched and a personal-best three hits at the plate todefeat the Mets, 7-2, at Shea Stadium...went 4-1 with a 2.56 ERA (13 ER/45.2 IP) in seven starts at home, asopposed to the road, where he was 2-6 with a 6.23 ERA (36 ER/52.0 IP) in 10 starts...opposing batters hit .216(36-for-167) at The Q and .318 (70-for-220) on the road...tossed 7.0 scoreless innings in his finest outing as aBig Leaguer in an 11-inning, 5-0 loss vs. Houston, Sept. 5 at Qualcomm Stadium...scattered four hits,did not walk a batter and fanned a then career-best nine in the 7.0-inning performance...the Friars stranded 11 men on base while being shut out for the 14th time in 2002...that start was part of a trend that saw Peavyallow two earned runs or fewer in 10 of his 17 starts, but win only five times...offensively, the Friars scoredtwo runs or fewer in eight of Jake's 17 assignments, including three shutout losses...San Diego plated eightruns in his seven losses, 50 in his six wins, and 15 in four no-decisions...owned a 1.3/1 ground ball-to-fly ballratio (135 ground outs, 107 fly outs)...at the plate, went 7-for-33 (.212) with three doubles and two RBI, leadingPadres pitchers in doubles, ranking second in hits...laced a two-run double off Arizona's Randy Johnsonin an 11-9 win July 21 at The Q...while in the minors posted, a 4-5 record with a 2.80 ERA (25 ER/80.1 IP) in14 starts for Mobile at the time of the promotion...went 4-2 with a 1.80 ERA in his first seven starts for theBayBears...tossed scoreless ball in four of those outings, including back-to-back 7.0-inning stints April 22 atOrlando and April 27 vs. Carolina...struck out a season-high 10 batters in the April 22 game and again threestarts later on May 8 vs. Chattanooga...went winless in his last seven Double-A assignments despite postinga 3.79 ERA...held opponents to a .220 batting average (65-for-296)...was named to play in the fourth-annualFutures Game July 7 at Miller Park, but did not pitch because of his recent promotion. SUMMARY: Combined to go 9-6 with a 2.97 ERA in 24 starts for Single-A Lake Elsinore and Double-A Mobile...led the entire Padres organization, including the major leaguers, and ranked 5th in all of minor league baseball with 188 strikeouts...ranked fifth in ERA among Padres farmhands...walked only 45 for a stellar 4.2/1 strikeout-to-walk ratio. AT LAKE ELSINORE: Went 7-5 with a 3.08 ERA in 19 starts and was named the No. 5 prospect in the Cal League by Baseball America...would have ranked 5th in the league in ERA but finished 6.2 innings shy of qualifying...led the CL in strikeouts per start (12.3) and batting average against among starters (.200)...gave up three runs or less in 16 of his 19 Single-A starts, two or less in 12...struck out 10 or more in four of five June starts...walked only 12 in his final 10 starts with Lake Elsinore (58.0 IP)...went 3-2 with a 1.93 ERA (10 ER/46.2 IP) in his final 10 starts with the Storm...after a stint with Mobile, returned to Lake Elsinore for the playoffs...earned the win, allowing one run on five hits in 6.0 innings, in his lone postseason start vs. High Desert as the Storm earned a share of the league title. AT MOBILE: Earned his first promotion to Double-A in August...got the win in his Mobile debut Aug. 8 at Orlando...took his only loss Aug. 13 vs. Tennessee, but worked 6.0 scoreless innings in both of his next two starts, Aug. 18 vs. Orlando and Aug. 23 vs. Greenville...struck out 11 in each of his final three Southern League starts...limited opposing Southern League batters to a .192 average. WELL KNOWN: Enters 2002 rated as the Padres' No. 3 prospect, according to Baseball America, behind only third baseman Sean Burroughs and righthander Dennis Tankersley...entered 2001 rated No. 2...was No. 11 going into the 2000 campaign...was named to SportsTicker's All-Teen Team following the 2001 season...prior to 2001, was named the No. 40 prospect in baseball on Baseball America's top 100 list. Was cited by Baseball America as the Padres' No. 11 prospect entering 2000...honored as San Diego's co-Minor League Pitcher of the Year, leading the Padres organization with 13 wins while ranking second with a 2.90 ERA and 164 strikeouts for Single-A Fort Wayne...led Midwest League starters in strikeouts per nine innings (11.1)...also ranked among league leaders in strikeouts (tied for first), wins (tied for 3rd), opponents average (5th among starters at .214) and ERA (8th at 2.90)...held opposing batters to a .216 average, including a .192 mark by right-handed hitters...allowed just six homers in 133.2 innings...made just one start, April 9 at West Michigan, before landing on the Disabled List April 10-28 with viral meningitis...tossed 6.0 scoreless innings, allowing just two hits and a walk while fanning seven in an 8-1 win May 5 at Kane County...went on to win 3 consecutive starts May 5-16, posting a 1.65 ERA (3 ER/16.1 IP)...struck out a season-high 13 and gave up just 2 hits in 7.0 scoreless innings in a 4-0 victory June 5 vs. Michigan...in his next start, worked 7.0 scoreless frames in a 5-0 win June 10 at Burlington...won four consecutive decisions June 5-July 10...fanned 11 batters in just 5.0 innings August 11 vs. West Michigan...went 8-1 with a 1.97 ERA (16 ER/73.0 IP) in 13 starts at home and 5-7 with a 4.01 ERA (27 ER/60.2 IP) in 13 games (12 starts) on the road. Earned Arizona Rookie League All-Star honors in his first pro season, split between Rookie-level Peoria and Idaho Falls...led all short-season pitchers with a 1.17 ERA, while ranking 2nd with 103 strikeouts...also tied for 3rd with 9 wins...earned Howe Sportsdata's "Star of Stars" Award for overall statistical performance in the Arizona League...shared league All-Star honors for right-handed starters with Colorado farmhand Ryan Kibler...led league starters in ERA (1.34), strikeouts (90), strikeouts per 9 innings (10.98), opponents average (.208) and wins (7)...tied for 3rd in complete games (one) and ranked 5th in innings (73.2)...fanned a season-best 12 batters over 7.0 innings in a 4-1 win over the A's August 5...named Arizona Rookie League Player of the Week for the week of August 16-22 by tossing 7.0 shutout innings for a 7-0 victory August 15 against the Mariners...allowed just 3 hits and 2 walks while striking out 11...promoted to Idaho Falls August 23...in his first start, yielded 3 hits and one walk while striking out 7 in 6.0 scoreless innings August 25 at Butte. November 3, 2016 RHP Jake Peavy elected free agency. October 12, 2016 San Francisco Giants activated RHP Jake Peavy. October 5, 2016 San Francisco Giants reassigned RHP Jake Peavy to the minor leagues. September 7, 2016 San Francisco Giants activated RHP Jake Peavy from the 15-day disabled list. August 27, 2016 San Francisco Giants placed RHP Jake Peavy on the 15-day disabled list retroactive to August 21, 2015. Low back strain. July 3, 2015 San Francisco Giants activated RHP Jake Peavy from the 15-day disabled list. May 24, 2015 San Francisco Giants sent RHP Jake Peavy on a rehab assignment to Sacramento River Cats. May 22, 2015 San Francisco Giants sent RHP Jake Peavy on a rehab assignment to San Jose Giants. 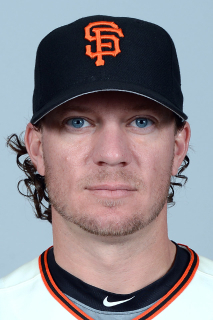 December 23, 2014 San Francisco Giants signed free agent RHP Jake Peavy. October 30, 2014 RHP Jake Peavy elected free agency. July 27, 2014 San Francisco Giants activated RHP Jake Peavy. July 26, 2014 Boston Red Sox traded RHP Jake Peavy and cash to San Francisco Giants for LHP Edwin Escobar and RHP Heath Hembree. August 1, 2013 Boston Red Sox activated RHP Jake Peavy. July 31, 2013 Chicago White Sox traded RHP Jake Peavy to Boston Red Sox for RHP Francellis Montas, SS Cleuluis Rondon and RHP Jeffrey Wendelken. July 19, 2013 Jake Peavy roster status changed by Chicago White Sox. July 14, 2013 Chicago White Sox sent RHP Jake Peavy on a rehab assignment to Birmingham Barons. June 6, 2013 Chicago White Sox placed RHP Jake Peavy on the 15-day disabled list retroactive to June 5, 2013. Fractured rib. June 22, 2011 Chicago White Sox activated RHP Jake Peavy from the 15-day disabled list. June 16, 2011 sent RHP Jake Peavy on a rehab assignment to Charlotte Knights. June 8, 2011 Chicago White Sox placed RHP Jake Peavy on the 15-day disabled list retroactive to June 6, 2011. Strained right adductor. May 11, 2011 Chicago White Sox activated RHP Jake Peavy from the 15-day disabled list. April 28, 2011 sent RHP Jake Peavy on a rehab assignment to Charlotte Knights. April 18, 2011 sent RHP Jake Peavy on a rehab assignment to Birmingham Barons. April 13, 2011 sent RHP Jake Peavy on a rehab assignment to Charlotte Knights. April 8, 2011 sent RHP Jake Peavy on a rehab assignment to Birmingham Barons. March 30, 2011 Chicago White Sox placed RHP Jake Peavy on the 15-day disabled list retroactive to March 22, 2011. Recovering from July 2010 right shoulder surgery. November 2, 2010 Chicago White Sox activated RHP Jake Peavy from the 60-day disabled list. August 30, 2010 Chicago White Sox transferred RHP Jake Peavy from the 15-day disabled list to the 60-day disabled list. July 7, 2010 Chicago White Sox placed RHP Jake Peavy on the 15-day disabled list. Detached right shoulder muscle. September 19, 2009 Jake Peavy roster status changed by Chicago White Sox. August 13, 2009 sent RHP Jake Peavy on a rehab assignment to Charlotte Knights. July 31, 2009 Kannapolis Intimidators Traded RHP Dexter Carter to Fort Wayne TinCaps; Chicago White Sox Traded LHP Aaron Poreda, Adam Russell and LHP Clayton Richard to San Diego Padres and San Diego Padres Traded RHP Jake Peavy to Chicago White Sox. June 13, 2009 Jake Peavy roster status changed by San Diego Padres.